The Rebel Sweetheart. 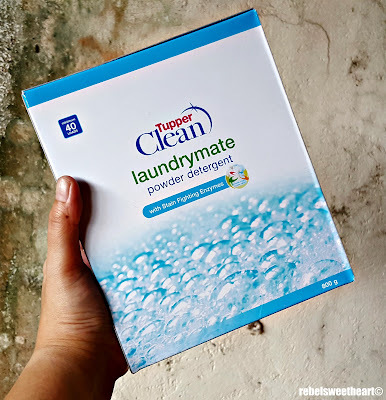 : Spotlight | TupperClean Laundrymate Powder Detergent + Soft N Clean Fabric Softener. Spotlight | TupperClean Laundrymate Powder Detergent + Soft N Clean Fabric Softener. First weekend of the year! And like any ordinary weekend, I'm spending mine doing the laundry - one of the household chores (aside from cooking and grocery shopping) that I actually enjoy. I find the entire process of washing dirty clothes - from sorting to folding - a very therapeutic activity, and for me, the sight of an empty laundry basket brings nothing but sheer unadulterated pleasure. Consequently, this has made me quite finicky with laundry products. 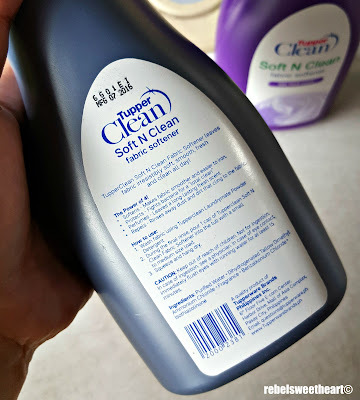 For laundry detergents, it has to be tough on stains, gentle on clothes, and even gentler on hands - because I'm old school and prefer scrubbing the whites and washing undergarments by hand, haha. 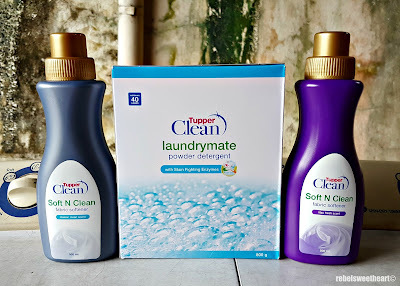 Just recently, I have been introduced to TupperClean - Tupperware Brands' line of home care products which includes detergents, fabric softeners, air fresheners, toilet bowl cleaners, and dishwashing pastes. 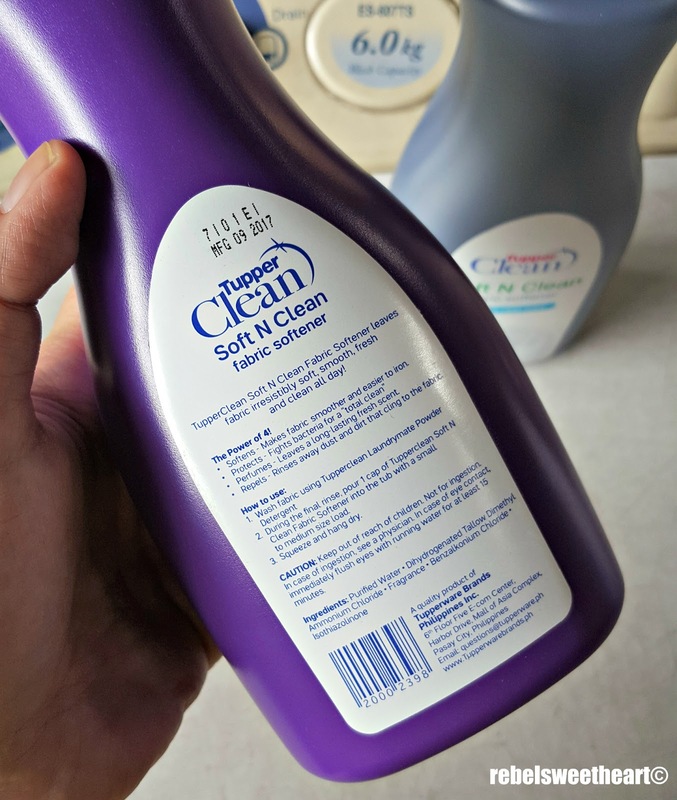 I had the opportunity to try and test their laundry products, and I must say, I had a kick out of it over the weekend. TupperClean LaundryMate Powder Detergent, Php 299. The TupperClean LaundryMate, for one, easily met my standards. It's a powder detergent formulated with natural enzymes that cuts through stains and lifts away dirt from your clothes. I used this for soaking and scrubbing the whites, and I had no difficulty (read: no heavy scrubbing) in removing the collar stains on Yue's school uniforms. This detergent is gentle on the skin too, as my hands did not feel dry or itchy after scrubbing the whites by hand. Comes with a 40-gram scoop inside. I like how sudsy this detergent is, and how it easily dissolves in water. It also has a clean, fresh scent -the kind that you get when you walk inside or pass by a laundromat. 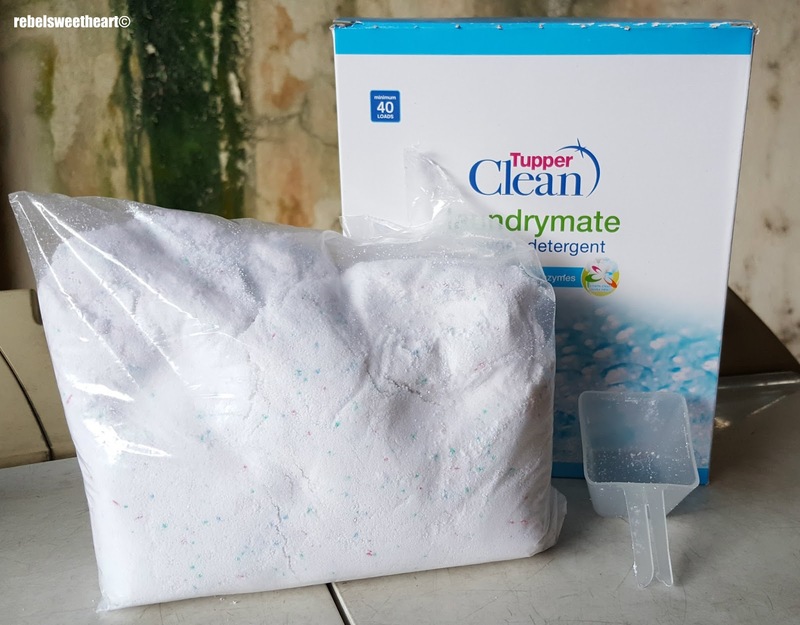 You get 400 grams of product with every box of TupperClean LaundryMate Powder Detergent, together with a reusable plastic scoop. 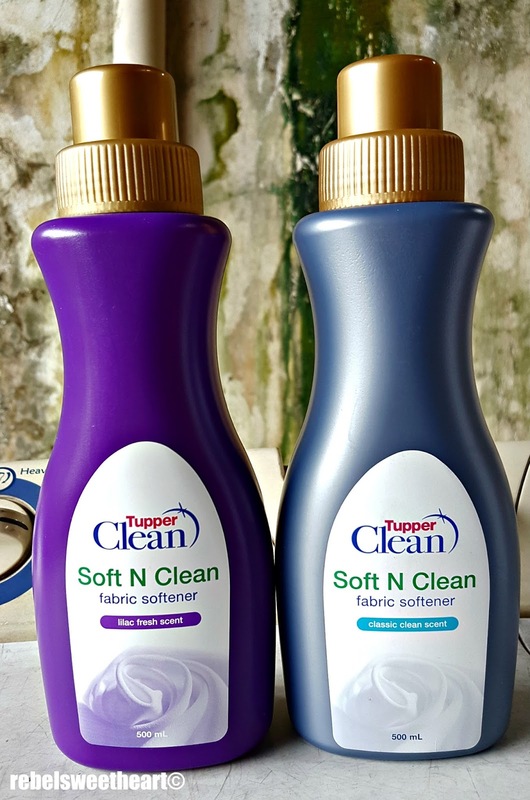 TupperClean Soft N Clean Fabric Softener, Php 299 each. Now when it comes to laundry care, fabric conditioners/softeners are like icing to cake. I love how they lock the fragrance onto your clothes and make fabrics soft and smooth. 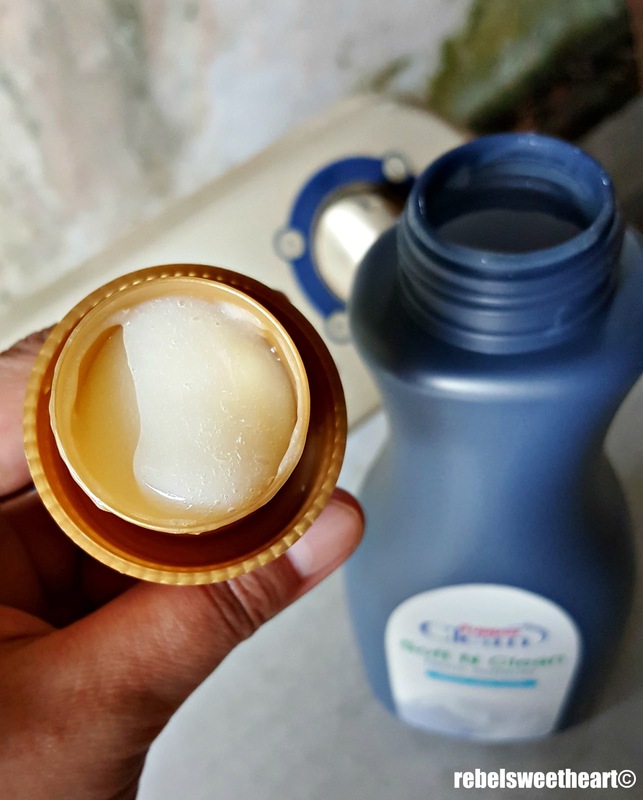 However, since the conditioner/softener is what into contact with the garments last, its compatibility with the skin is a big factor me, most especially with my son's clothes. Thankfully, these Soft N Clean Fabric Softeners are hypoallergenic, and they do a good job of 'softening' the fabrics and making them 'fluffier' and easier to iron. They also leave a nice, long-lasting fresh scent on clothes, though I find the Lilac Fresh Scent more to my liking. I also like the Lilac's consistency better than the Classic Clean variant, as the latter seemed to have coagulated inside the bottle. Maybe because the Lilac Fresh variant was manufactured just recently while the Classic Clean variant goes way back to 2016? Lilac Fresh variant, manufactured September 2017. Classic Clean variant, manufactured July 2016. Each bottle of Soft N Clean contains 500 mL of product. 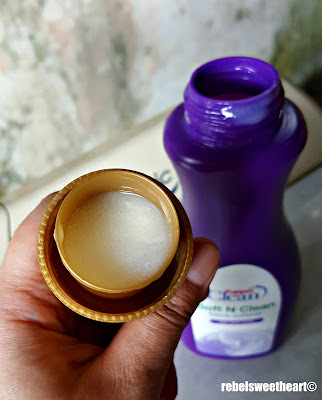 You can use the cap to dispense the liquid on to your laundry, and one full cap is good for a small to medium-sized load on your washing machine. TupperClean products are available at Tupperware Brands' business centers nationwide. You can also place your orders through Tupperware Brands' dealers in your area. I enjoyed your review - Personally, I like eco brands. We have a great one in the UK called Method, their Lavendar scented detergent is to die for! Love this product, thanks for sharing! This is great! Love how a small amount goes a long way - and that it comes in lilac scent. Wow, Tupperware has really evolved over the past decade or longer! I also had no idea Tupperware made all these cleaning products. I'll have to check them out, since the company has established such a good reputation over a long period of time. Doing laundry is one of those things you wish you never had to do and that magically never stays done for one single day. It's good you have a reliable brand to help you. I'm so happy my boys are in charge of their own laundry :) That said, Tupperware is really great! That is good news for every mom who doing their laundry and Tupperware is really great. I will check this out.